Do not think of this post as simply an endorsement for a certain brand of notebooks. This post is encouraging the pen and the page traveling with you as you go about your interesting life. How would you ever recognise if your life was interesting? One can often forget the little things that happen in your day that make that day or even that fleeting moment special. You could try to type it into your mobile phone, or open up your laptop to type it down however these technological means of get lost in the ether of bits and bytes. I like to put stickers on my own. Having a good notebook on your person is advisable, and the Awesome Geek is always coming across crazy random happenstances. Therefore he or she must be prepared to jot them down quickly for a blog post, a comic strip or even a published memoir. The world is your oyster, but you can’t rely on your noggin to hold onto everything when you sit at your desk at the end of the week. That is why I choose Moleskine. At the moment there are three types of these famed notebooks in my life. The first is just a regular lined notebook – kind of the basic model. I use this one for practically everything. I use it to write notes to myself, to make lists, plans or anything else. This notebook is something that I will flick back through in years to come and remember all the fun I had while I was writing in it. The second Moleskine I have is the yearly planner. This guy is a softcover which I plan my life in. The left page is always seven slots for each day, and the right is lined to make lists or to dos. This thing keeps me in check. As much as I love iCal, it’s not convenient enough for me, I need something that I can fill in while I’m running through college campus or jumping on a bus or train. The final one is the London Guidebook. I bought this my first weekend in London, as knew I would be spending the next eight months going back and forth visiting until I move over in the summer. This notebook is basically a guidebook you write for yourself. I fill in every restaurant, bar, movie, show, museum, exhibition and random moments I come across while I’m in London. I have fallen in love with it, and the memories it holds. It’s also good for revisiting great places and avoiding the crap ones. I highly recommend one for the traveller or anyone who just wants to make their own personal directory for wherever they live. The Awesome Geek loves pen and paper, and should always have some on their person, because you never know where life can take you. Learn even more about Moleskine notebooks here. 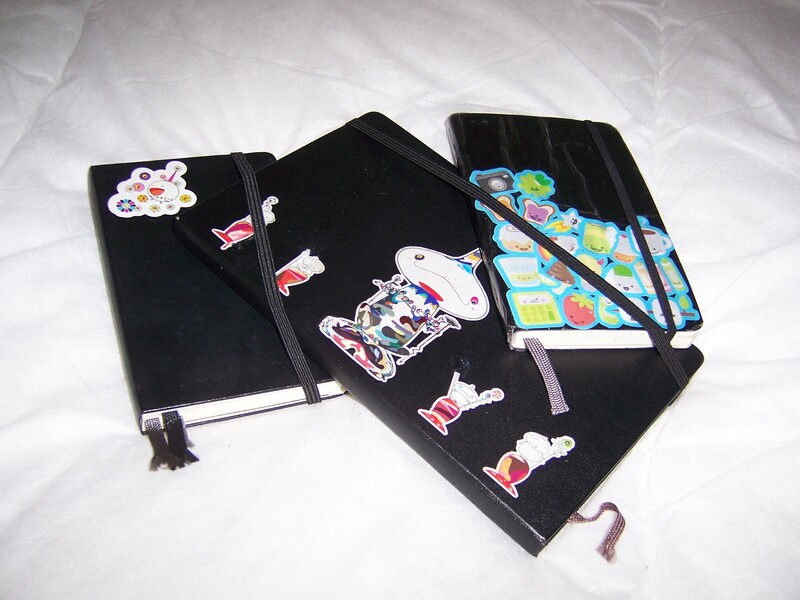 This entry was posted in Stationery and tagged Moleskine, Notebook, Notes, Pen & Paper by Jonathan Day. Bookmark the permalink.